Proctor John arrives to assume control of the dam, leaving Strand and Alicia caught between family and survival. 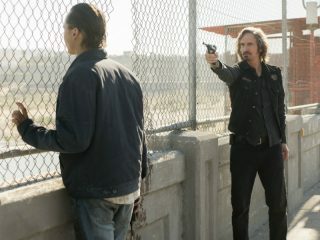 While Strand attempts to smuggle Madison and Nick out of the facility, Daniel also fights to stay alive. Last edited by GateWorld; January 12th, 2018 at 12:45 AM.